IF YOU PREPAID FOR A 3-DAY PASS OR A FRIDAY ONLY NIGHT OPS GAME BY THE MONDAY PRIOR TO THE EVENT,YOUR DOG TAGS ARE FREE AND INCLUDED WITH YOUR ENTRY. 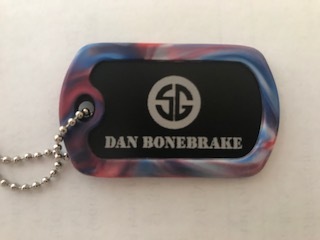 You only need to buy dog tags if you are bringing friends and family that are not playing or if you did not purchase a 3-Day Pass. 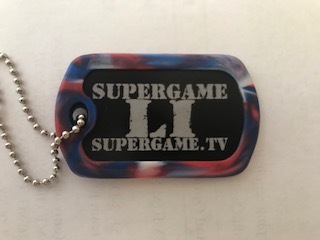 Dog tags must be purchased by Wednesday, April 24, 2019 to guarantee they will be finished for SuperGame.